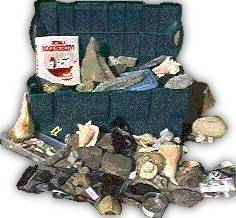 The Rock Detective Mystery Kits contain either 30, 50, or 80 Mysteries about samples that are carefully chosen from Rock, Fossil, Mineral and 'Other' groups (see links below for photos and descriptions of all samples). The Mysteries can be taught at a range of grade levels and our standard kits are prepared for Grades K-4, 5-8, and 9-12. Custom kits can also be assembled at your choice of grade level, or with your choice of Mysteries. It is best to place custom orders by phone (530-529-4890) or email (kidsrx@rockdetective.org). All kits include a Notebook with the Mystery Q & A sheets and complete instructions. 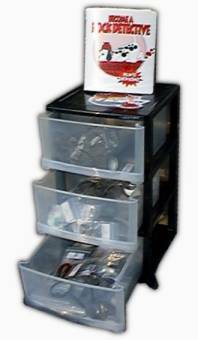 Materials can be used over and over for a long time, and replacements are available (call 530-529-4890). More information about each of the kits is available at the links below. Or you can proceed to the shopping cart to place your order. 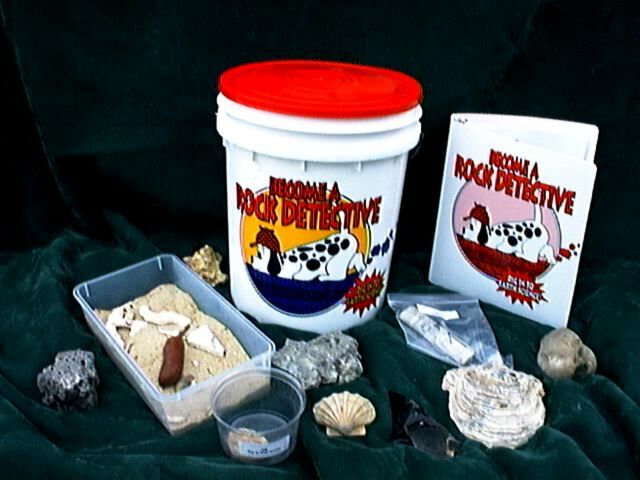 We call the program 'Become a Rock Detective', because like detectives, scientists (and our students) solve mysteries. And, like scientists, our students learn from the process. Questions for each Rock Detective Mystery introduce several concepts that cover a range of complexity, so that a collection of Mysteries is a flexible and powerful teaching tool.